Our Children join us in the Worship Center every Sunday morning for the beginning of the service and we occasionally incorporate them into our schedule with stories, activities and songs. After our Morning greeting, we excuse the kids with their teacher for specialize children’s programming. 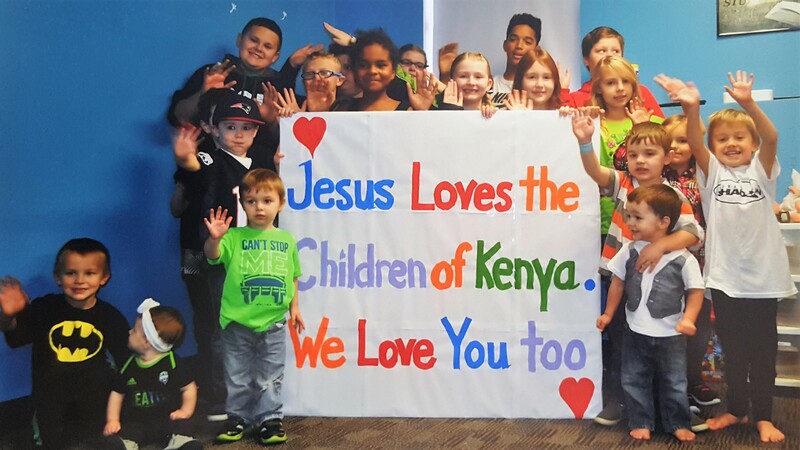 Our Children’s program uses stories, crafts, activities, music and snacks all carefully designed to help them learn the Bible and God’s Story of Jesus. Fellowship offers a variety of opportunities during the week for people to connect with God, each other and the world around us. We offer small groups, mission programs, Bible Studies and more to help our church family grow and make an impact around us for the Kingdom of God. Find out about other events and ministries by checking out our Calendar, Sermons, or Gloryband pages. We currently are not offering a mid-week study . Visit our Mission page to learn more about the work we are doing in Kenya. Gloryband is a musical ministry providing Southern Gospel music to Spokane and our surrounding communities. Click on the picture above to learn more.